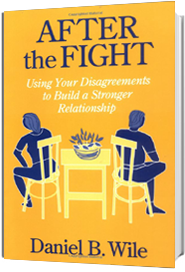 Doubling is the premier way to accomplish the principal task of Collaborative Couple Therapy, which is to turn arguments into conversations and disengagement into engagement. When I double, I kneel next to one of the partners and speak as if I were that person talking to the other partner. I translate that person’s angry, defensive, or avoidant comment into a collaborative, confiding one. I’m going to use an example from a previous blog entry to describe the essence of doubling. From what I know of this couple, Anna is almost certain to react angrily, and the two are about to slip into the kind of escalated exchange that they’ve come to therapy to stop. I pre-empt the fight by moving in and replacing Jack’s “you” statement with an “I” statement (a vulnerable feeling). But how does Jack feel about my replacing his “You fuss too much with the baby” with “I miss the alone time we used to be able to have.”? He might welcome it, seeing that my translation is more likely to get Anna to listen. He might feel relief in having his tender feelings brought into the open. Jack: I feel foolish being jealous of my own daughter. I miss the intimacy that you get breast feeding Ella. I feel so left out. Provides an in vivo demonstration of intimate talking. Serves as spokesperson, translator, and advocate for each partner. Recasts what each partner says in an effort to make it more satisfying to that partner and easier and/or more positively engaging for the other partner to hear. Interrupts an escalating exchange (and, in other cases, breathes life into a devitalized one). Turns what the couple is concerned about or struggling with at the moment into an opportunity for intimacy. I’m getting behind Jack in what he has been trying to say, reshaping his angry statement into one that might actually start a conversation. Instead of pressing his case, which is what he was about to do, I show how it might look if he were able to step back from the intensity of the moment and present what he wants to say in a more convincing and less accusing way. If I stick more closely to what Jack has been saying—if I meet him where he is and pay attention to what he’s trying to express—he may be able to look at his vulnerable feelings, if not immediately, perhaps later in the session or in future sessions. People need to feel heard in order to feel safe enough to confide their vulnerable feelings or even just recognize that they have them. 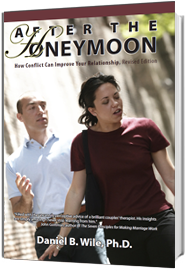 Doubling reveals to partners the problematic aspects of their way of relating. By giving the partners examples of what confiding, acknowledging, and listening look like, the therapist shows by contrast how they have been accusing, dismissing, and not listening. 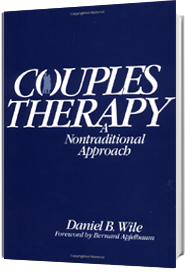 Doubling—speaking as one partner talking to the other—enables the therapist to intervene directly into the couple system. Another great example of how to double. I have some ideas I’d like to discuss about the details, I may have made comments like this before. I train people in psychodrama as you know. In teaching doubling I do not like for trainees to think of it as speculation or guessing. You say the speculation is informed… Indeed. you are in a two way connection with her, a two way enlivenment. In the two way process the person being doubled might well tweak your doubling, as you in turn tweak their expression. I see the value in the acknowledgement that you might be “wrong”. However that implies a “wrong guess” rather than an enlivening process between you, where she too is finding words that attune to her experience. We have the phrase “accepting the double”. Ha! Dan, am I with you? I had the honor and privilege to attend Dan’s workshop for therapists in his home. I love Dan Wile and Doubling. There is nothing like watching Dan do this live. An experience I will cherish forever. Dan: Another great post. I especially loved how you handled the wife’s, “He (meaning Dan) said that; you didn’t!” Keep up the good work. I loved that particular translation too! I attended a Collaborative Couple weekend long intensive several years back, and I agree that there is nothing like watching Dan attune to the moment and then double. What I’d like to mention is that in my work with couples I rarely find the response of the person I am speaking for to be anything other than relief and gratitude (but yes, Dan, I always ask, “how did I do? or “was that close to what you were trying to say?” or “would you add anything to what I just said to your partner?”). I think it was David Snarch who said something like the reason two people who have been married a long time are at a restaurant, eating in silence is because they have said run out of ways to say what they want their partner to hear (and they know he/she stopped listening a long time ago). When couples come in for therapy, my job is to help them find new ways to access and speak of how they are stuck, look for the best possible motive of their partner’s behavior and use words that might (with any luck) express some level of love and vulnerability all at the same time. This training has been an invaluable part of my development as a therapist. Hi Dan, thanks for that great summary of the function and subtleties of doubling. With the first comment by Walter Logeman, I wonder if you could slow down and spell out the process of translation. I assume that as you attune to each partner, you “hear” the vulnerable/softer version underneath the angry or provocative one. But I wonder if you might be able to walk those of us with a less developed ear through the thinking or theory that informs the translation. It seems that attachment/adult attachment theory is often part of what is informing you. What else? I love your use of the word “translate,” and your phrases: “I translate the person’s angry, defensive, or avoidant comment into a collaborative, confiding one,” and ” the therapist, in doubling, serves as spokesperson, translator, and advocate for each partner.” So descriptive in describing what the therapist does when doubling. I also like, “stepping back from the intensity of the moment,” as one of the most valuable things I’ve learned from you is the importance of solving the moment instead of solving the problem.